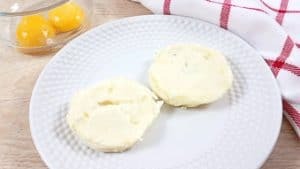 You will love the simplicity of Keto Eggs Benedict in the Instant Pot! This recipe is foolproof and you will have breakfast for the whole family in less than 5 minutes! Making this classic brunch time meal has never been easier. 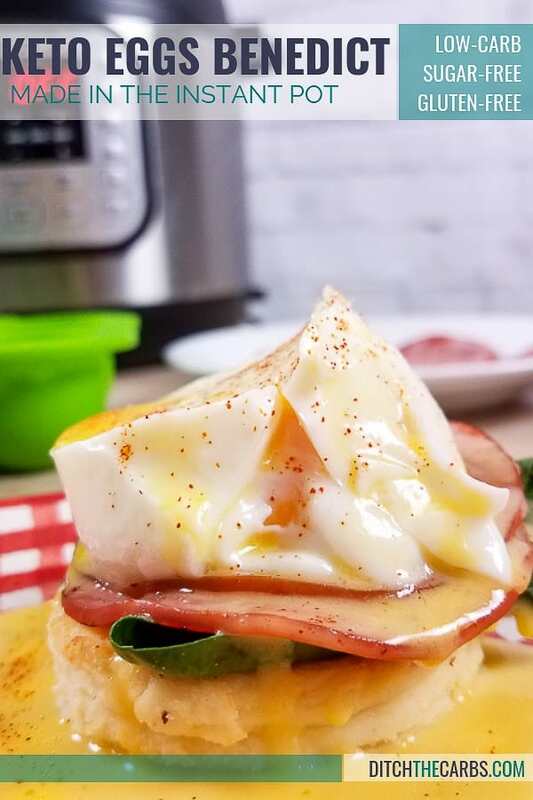 All you need is about 5 minutes and you will have delicious eggs benedict for the whole family ready to eat; fresh hollandaise sauce and a quick and easy toasted low-carb muffin included! 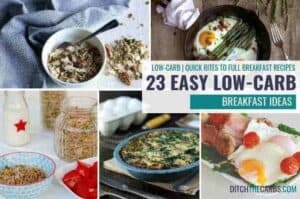 Don’t have a bunch of people to make breakfast for? No problem, you can easily adapt this recipe to serve 1 or 14. It really couldn’t get much easier. 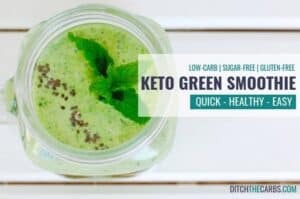 We took inspiration for our low-carb muffin from this 1 Minute Keto Muffins recipe. The muffins use in this recipe are a little different, but the concept is the same. Just mix the muffin ingredients listed below in a ramekin or mug and microwave for 90 seconds. 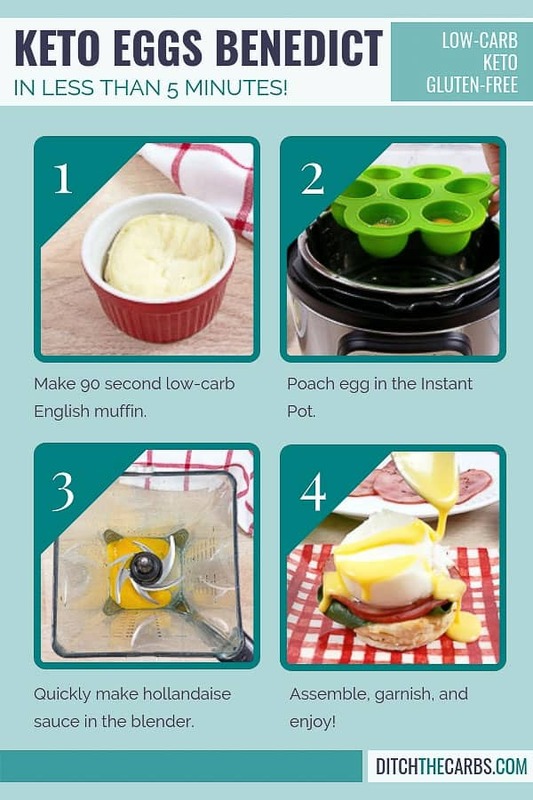 The muffin will firm as it cools and then you can slice the muffin in half for toasting. 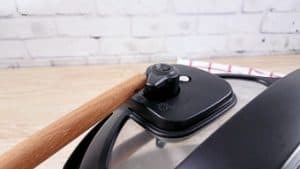 I popped mine in my toaster, but you could also use toast them in the oven or toaster oven. Since hollandaise sauce is made with egg yolks, I decided to use the egg whites in the muffins. No need to waste the wonderful egg whites. 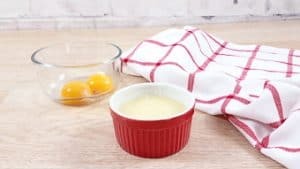 Mix butter, almond flour, and baking powder in a ramekin. Cut in half and toast. Making poached eggs in the Instant Pot is quick and easy. 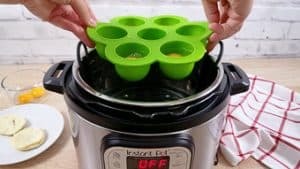 Just add a cup of water to the Instant Pot and place a trivet at the bottom. 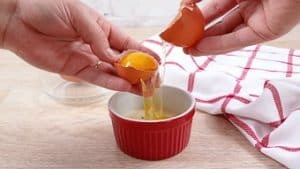 Then crack your eggs into a greased ramekin, silicone tray, or silicone muffin liners. To poach the eggs arrange the containers on the trivet. Close the lid and cook the eggs for 1 to 2 minutes using the “pressure cook” or “manual” button. 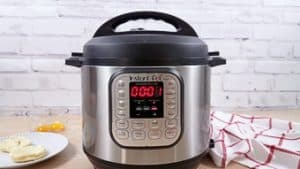 Once you hear the timer beep, quickly release the pressure and remove the eggs from the Instant Pot. Use a spoon to gently remove the poached eggs from the container. Place egg in an oiled container. Arrange eggs on trivet. Carefully scoop out of container. The cook time for the poached eggs can vary depending on your elevation and the thickness of the container you use to cook your eggs. Because of this, I suggest you start with 1 minute cook time, check the eggs and cook for one more minute if needed. You only to do this the first time you make poached eggs. Once you have it figured out, you’re all ready for the next time. 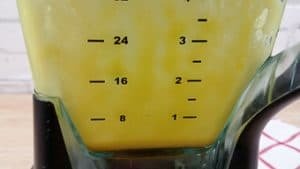 To make the keto hollandaise sauce you will want to pull out your blender. Add your eggs and lemon juice to the blender, close the lid, and then press start. As the blender is going slowly pour your melted butter into the blender. The hot butter will mix with the yolk and start to thicken. You will want to keep blending for about 30 seconds. 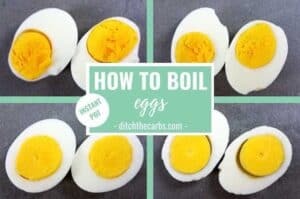 Since the hot butter is used to cook thicken the sauce instead of a double boiler, you will want to make sure the butter is so hot, it’s almost bubbling, barely melted butter won’t do the trick here. 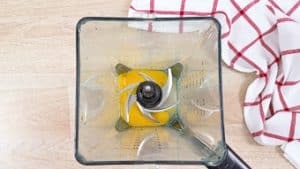 Add eggs and lemon juice to the blender. Turn on and slowly add hot butter. 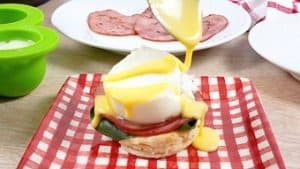 Now that you have made the muffins, eggs, and hollandaise sauce the only thing missing in the back bacon/ham/Canadian bacon (whichever it is called in your country). I like to quickly pan sear my back bacon, but you can warm it up however you. You may want to heat your back bacon while the eggs are cooking so that your eggs stay warm. Once your bacon is heated it’s time to assemble the eggs benedict. Layer your eggs benedict by putting half the toasted muffin on at the bottom (trust me you want to toast that muffin). 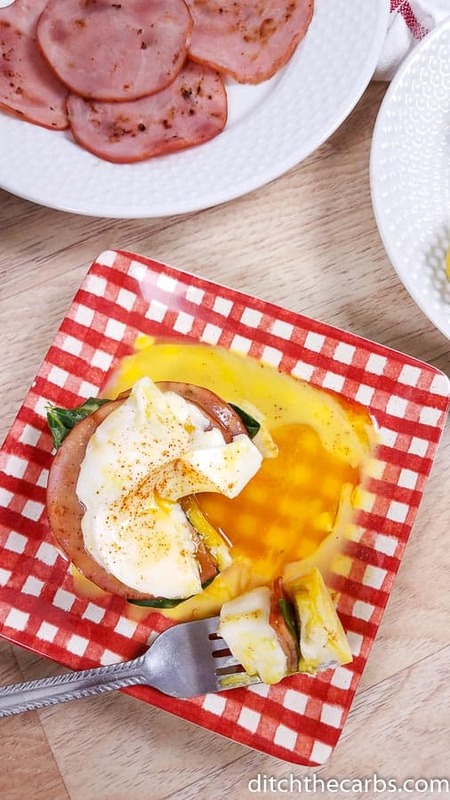 Then layer spinach if desired, back bacon, a poached egg, and top it off with a spoonful of hollandaise sauce. That’s really all you need to do! Breakfast done in 5 minutes! 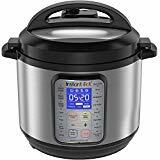 And since you are using your Instant Pot you do some of the steps while your eggs are cooking, just be sure to keep your ears open for the timer beep. 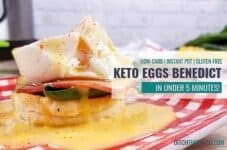 Keto eggs benedict are made in the Instant Pot in under 5 minutes! Place the butter in a ramekin or flat bottom coffee mug. Microwave the butter for 10-15 seconds to melt the butter. Using a fork, mix in the baking powder and almond flour. Once the almond flour is mixed, crack the eggs and separate the white from the yolk. The eggs white should be placed your batter, and the egg yolks should be saved for the hollandaise sauce. Mix the muffin batter well with the fork. Then place the muffin in the microwave for 90 seconds. The muffin will rise up quite a bit but will lower as it cools. When the muffin is done, run a knife around the edge to loosen then remove from the ramekin. Let the muffin cool then cut it in half and toast it. Add 1 cup of water to the Instant Pot then place a trivet at the bottom. 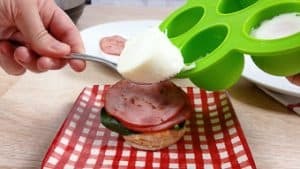 Grease ramekins, a silicone trays, or silicone muffin liners. Then crack an egg into each cup/container. You do not need to cover the container. 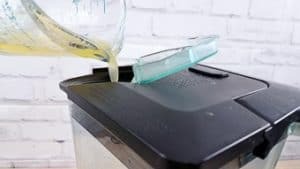 Lower the container to rest of the trivet in the Instant Pot. Close the lid and turn the pressure valve to seal. Cook the eggs for 1-2 minutes using the "manual" or "pressure cook" setting. When the timer beep quickly release the pressure and remove the eggs. To remove the poached eggs carefully run a spoon around the edge and then scoop the poached eggs out of the container. 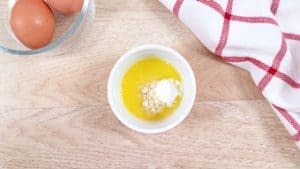 Add the egg yolks, salt, and lemon juice to a blender. Turn it on. While the blender is going slowly pour the melted butter into the blender from the top. Make sure the butter is very hot and bubbling. Let the blender run for about 30 seconds and then turn it off. You hollandaise sauce is done. Place half the toasted muffin on a plate. 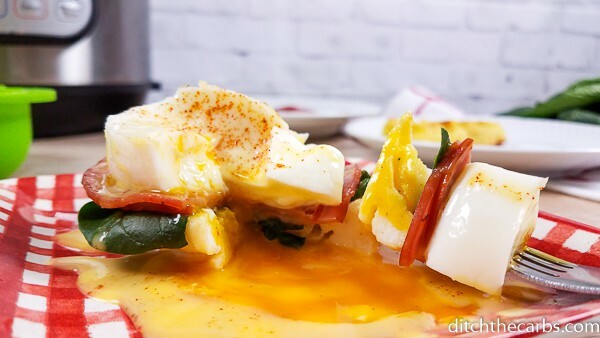 Layer the spinach, back bacon or ham, and a poached egg on top. Drizzle a spoonful of hollandaise sauce over top and enjoy! 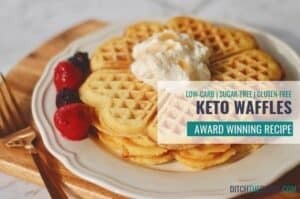 Each ingredient for the keto eggs benedict is shown per person. Simply poach/cook as many eggs as you require in the Instant Pot and make the accompanying muffins and Hollandaise sauce per person. I am a really good cook, very skilled in the kitchen. I used up ten eggs trying to get the right poach. I was using the silicone cups, and tried all different times and pressures- UTTER failure. Either too runny for even my hubby who likes very soft whites, or too solid to run at all. I’ll go back to traditional poaching. The blender method gives never fail hollandaise every time (you can also use an immersion blender whisk attachment), and the muffins were the best English muffin knockoff we’ve tried. We will keep poaching our eggs on the stovetop and use the muffin recipe. thanks for sharing your recipe. did you use the ip 60? I hope that new recipes will follow soon.